How Much Is A Whiplash Injury Claim Worth And How Can We Help You? If you have suffered a whiplash injury, you will want to know whether you can make a claim for whiplash, how to make a whiplash claim and how much it might be worth in terms of compensation. We will answer all of these questions for you. Last year we recovered just under £6M of compensation for our clients. Russell Worth is an accredited Law Society Personal Injury Solicitors firm and we strive to get our clients the best settlement possible. We typically operate on a No Win No Fee basis and are a nationally operating company. Simply call us now on 0800 028 2060 or complete our Online Claim Assessment and let us help you. Russell Worth is an accredited Law Society Personal Injury Solicitors firm and we have been practicing in this area for nearly 15 years. With the increases in media exposure to whiplash and the claims process on the TV and Radio, you could be mistaken in thinking that whiplash claims are an easy thing to process. This is far from the case, and in reality, many complications can arise along the way. Whiplash, which is a soft tissue injury, is typically associated with an injury sustained from a rear end collision where the soft tissue at the back of the neck becomes torn and painful. In most cases, whiplash does not last for more than a few weeks to a year and can be treated quite easily with physiotherapy, which we can organise for you. Unfortunately, despite this, there can be increased vulnerability to the area in the future as the muscles have become weakened. Depending on a number of factors, the symptoms for whiplash are not always immediate. Whiplash is a soft tissue injury and often it is the case that symptoms will not materialise for a couple of hours and can take up to a few days. It may be that the injury requires treatment such as physiotherapy. Russell Worth can arrange for treatment to take place when you need it, where you need it all as part of your claim. We understand that treatment on the NHS can take too long so wherever possible we will get you back on the road to recovery and will claim this cost back from the opposition’s insurers as part of your whiplash claim. For example, it may be appropriate to send you for physiotherapy. The NHS website informs you of ways to give yourself the best chance of recovery in addition to the treatment you might receive. When a car is hit from behind there is a powerful jolting movement, which causes the area of our body in contact with the seat to accelerate forward. The head is not in contact with the car until the headrest (if it is correctly positioned) pushes the head forward. If the person has a seatbelt on, it is at this point that it kicks in and stops the body from moving forward. Your body and shoulders are anchored by the seatbelt and the head whips forward and down, hyper extending the back of the neck. It is this hyper extending which causes the soft tissue to become damaged and painful. 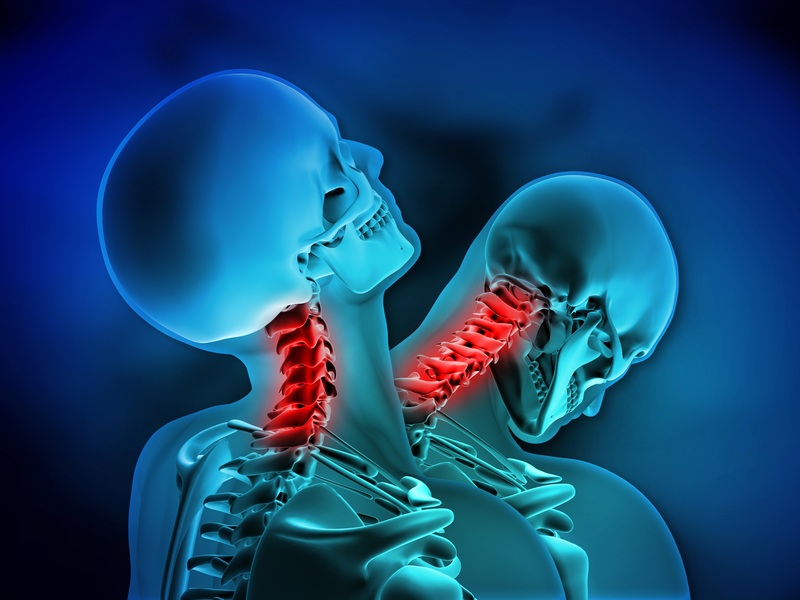 How much compensation can I claim for my whiplash injury? Often when one is making a claim against another party for whiplash injury, insurance companies have been known to approach the injured and offer a settlement figure outside of the whiplash claims process. This is a typical way of insurance companies attempting to settle a claim in the cheapest way possible and is typically advised against. A good solicitors firm will get you the compensation you deserve which covers all losses including medical bills (such as physiotherapy costs), loss of earnings, repair of your car and importantly, compensation for the pain or suffering you are enduring because of your injuries. There are a lot of personal injury solicitor firms out there that will take on whiplash claims business but there are few that will work as hard as Russell Worth. We will look to get you the maximum compensation for your injuries, suffering or losses so it literally pays to go with us. Do I get a replacement vehicle whilst mine is being fixed? In most cases, we can get a replacement vehicle to you straight away, regardless of whether this is part of your insurance cover or not. What is more, the cost of this will be claimed back off the oppositions insurance as part of your claim. As Solicitors, what do we get out of it? We’re happy to be open about every aspect of this and if you have any questions whatsoever, which are not answered here about the whiplash claims process, please speak to your solicitor. We operate a No Win No Fee policy, which means that if your case is lost, there are no fees to you. We are confident in our staffs’ capabilities and rarely lose a case, which stands testament to this. So win or lose, there is no cost to you. Can whiplash happen at low speeds? The neck is an extremely complex and sensitive area, which can make it susceptible to injury from even the slightest of impacts. If a jolt is experienced, you could feel pain in your neck from anywhere between an hour or two, up to a couple of days later. Should I make a whiplash claim? You may be going through a bit of a debate in your head as to whether you should make a whiplash claim. We understand that the media attention surrounding whiplash claims has fuelled the so called ‘claims culture’ in the UK but while we would prefer this not to be the case, we only really care about getting people who have genuinely suffered pain or losses through the neglect of someone else’s actions and this stands true for ANY of the accident areas that we deal with. If you’re not sure whether to make a whiplash claim, take a look at our why claim page as this looks to put things into perspective. People often assume that because they weren’t the driver of the car that got rear-ended, they cannot claim for compensation but this is not the case. Passengers are just as susceptible to whiplash as the driver and in this sense, you are in exactly the same position with resulting pain or suffering as a result of someone else’s actions. What should I do in the moments after a road traffic accident? What is important to note here is that the symptoms for whiplash may only materialise in the days after an accident has happened. It is important therefore as a precaution to take the correct steps when an accident happens. Gathering the right evidence after an accident can help expedite your whiplash claim and will go a long way towards getting you the compensation you deserve. We don’t expect you to take our word for it – take a look at our testimonials page for details of clients that we have happily won cases for. In the last 12 months we have secured over £5.8Million pounds for our clients. Our experienced whiplash claim solicitors and handlers are on hand now to take your call if you wish to discuss your claim. Call them on 0800 028 2060 or start your whiplash claim online by filling out a few details such as name and telephone number along with a preferred time for us to call you back.